Dracula: Origin is the new adventure game from Frogwares studio, the team that developed the famous Sherlock Holmes series for PC. Having successfully tackled the myth of Cthulhu in the award-winning Sherlock Holmes - The Awakened, Frogwares is once again venturing into a disturbing and fantastic universe, the world of the Prince of Darkness, in an adventure which combines romance, mystery and horror. Young, charming and devout, Dracula was once an ardent defender of Christianity but lost his faith in God when he is abandoned by his one true love who marries another. Count Dracula then makes a pact with the Prince of Darkness, and becomes a vampire with an insatiable thirst for blood and vengeance, doomed to eternal damnation. In the game, you play the role of Professor Van Helsing, the celebrated vampire hunter, on the hunt for Dracula, while Dracula himself is on a quest for a mysterious manuscript which will give him the power to raise the dead. Your goal is to prevent Dracula from finding and using this manuscript, and also to kill him, in order to liberate the souls of all those who have had the misfortune to cross his path. 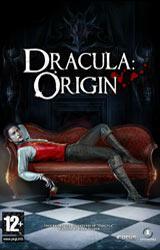 Using conventional Point & Click gameplay, Dracula: Origin is a superb adventure supported by impeccable graphics and a rich storyline, which takes you to London, Egypt, Austria, and of course, to Transylvania, in the famous home of the great vampire. With a subtle combination of 2D environments and animated 3D characters, the game faithfully reproduces the world imagined by the celebrated author Bram Stoker, with all its associated motifs (horror, love, blood, crucifixes, stakes, garlic, etc. ), in a disturbing, finely-realized and absorbing Gothic atmosphere. Introduction: When you think about it, that the manufacture of this game is responsible for a game called Sherlock Holmes: The Awakening, it all fits in quite well. This is due to the fact that the game manufacturer has clearly one goal and that is to use the famous stories and myths already told in the past years. Their backgrounds and status of being so famous will do the rest of creating a well-grounded foundation that will add the finishing touch of launching the game to the players. Dracula is definitely one of those characters that have that kind of influence on the players, and giving the original story some new additions and features you will most certainly get a game worth your while. 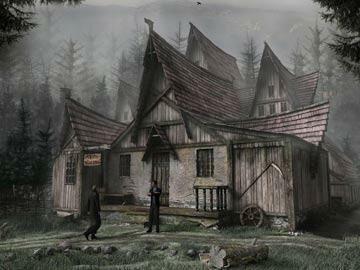 Gameplay: The story of the game is bonded by the history of Dracula and his birth. He was a very religious man who had a lot of faith in God, but after a terrible thing occurred to him and he lost his bride, he turned his back on God and welcomed the Devil which cursed him to wonder the Earth for all eternity until he gets killed. The man or better yet the family who has that obligation lies in the surname Van Helsing. From generation to generation there was always someone who will bear the burden of being a vampire slayer and in our case Professor Abraham Van Helsing has that obligation, especially since he received a later from one of his students telling him about his dreadful faith that has come upon him and his bride to be. Professor Van Helsing packs his bags and sets his journey from London to Cairo, and then back to Vienna, after which the final destination would be the place where Count Dracula is at home, Transylvania. As the game starts and your search also, logically you will be searching for items that you need in the game to help you through it. But there is something different here, that I have seen with other games but I simply was a bit confused as I saw it. The items you will be collecting are, well everything that you can find. The thing is, our god Professor Van Helsing is an old fashioned MacGyver who seems to be able to find use of everything that he finds, so you better sharpen all of your senses as there are plenty of items lying around waiting for to be found. Now if you are a true fan of finding items and using a help during the game can only mean your total defeat, this is a game for you, as the items are so well hidden that pixel hunting is totally unavoidable. But there is another way of collecting those items and that is using the spacebar. The spacebar when hold pressed long enough will highlight every item that you can collect during a scene. This will come as a blessing for some players while curse to others… To this point you will start to see the games graphics in the blood style and some violence. I said ‘some’ but from my opinion there is a bit more than some, as the violence and gore limit is set at age 13+ making it commonly acceptable game, however it should probably be a couple of year up. Anyway, everything is decorated in blood and the obscurity of the vampire life. But if the game was all about searching for items, than you could just forget about it. Fortunately, standard for this type of point-and-click, you will be chitchatting with other characters and of course a lot of puzzles will be there that need to be solved. The mouse is used as a general controlling tool as moving, picking up things, interacting with the environment is all done through the left click, while the right click is used to access the game’s inventory. Now the thing that a lot of veterans of this genre will notice is the navigation through the inventory system. The remainder will lead you way back to the first editions of the games in this genre. The manufacture of the game probably had that in mind, as the game idea and style is already been done in an ‘old’ way, because of the game’s theme. This is probably why you will be relaying plenty on the spacebar, as the game didn’t give any valid instructions in helping you figuring out the game itself and understating what needs to be done next. Graphics and audio: Graphics of the game is kind of weird, like earlier mentioned, but not weird as strange, but more weird because of the content and the level of age that the game is allowed too. There are multiple scenes where probably most of you will notice the theme that is very much corresponding to the story and the characters of the game, but is it or is it not suitable for 13-year olds, that’s for someone else to decide. Anyway the game is made both in 3D and 2D scenes. The complete game is done in 2D, with some scenes (pictures) are given special attention and the 3D surroundings. The story of the game will evolve in a way that can be presumed by many and there are no surprises due to the games theme popularity. The sound seems for me a bit classy on the first look, but eventually hearing it all out turns to be quite good for every character.